Residency Exhibition In the Making is a showcase of work highlighting the 40 talented North Lanarkshire pupils who attended last year’s annual Creative Residency 2018. 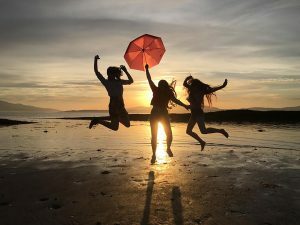 Participants spend a week at Kilbowie Outdoor Centre, Oban, where they are mentored by some of Scotland’s top art practitioners. Disciplines included drawing and painting, music, printmaking, 3-D Design, digital photography, creative writing and drama. Don’t miss this fascinating photographic exhibition exploring the world of work in 19th and early 20th century North Lanarkshire. It features superbly detailed historic images of miners working at the coal face, steel workers hand-charging at furnaces, wagon-builders and boiler makers on the shop floor. 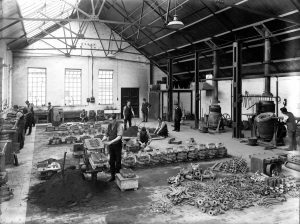 Together they provide a unique insight into the skills, exertion and ingenuity of workers at the height of the Industrial Revolution. This is an opportunity to view rarely seen photographs from our Local Studies and Archives collections. 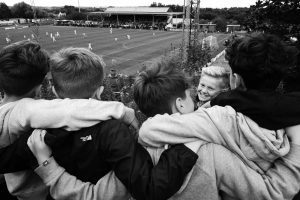 As Albion Rovers Football Club celebrate 100 years at Cliftonhill Stadium in Coatbridge, Summerlee Museum presents a unique photographic study of the fans and environment surrounding the team. The photographs featured are a social document which captures the feelings of those involved in following and organising Albion Rovers. The fans travel far and wide, help dig the snow from the pitch, organise the community events and providethe vocal support which echoes around the stadium. The images are a selection from home and away games where photographer, Iain McLean superbly captures the spirit of those following a small club that swims against the tide and battles againstthe odds. There will also be Football themed family activities throughout the school holidays plus a special Albion Rovers celebratory event taking place during September weekend (Friday 27 – Monday 30 September 2019).